Gold has seen incredible growth curve over the last 10 years reaching sky high limits within the last few years. More and more investors are switching to gold market from the volatile world of investing in stocks, bonds and other securities. The matter or how to choose gold becomes especially important since a lot gold investing novices are entering the market without necessary comprehension on how to buy gold and how to maximize your precious metals investment dollar. 1. Do not buy gold jewelry under any circumstances as a gold investment. The prices of gold jewelry are simply insane no matter how you look at them. You are paying so much more than just for the actual gold content but also for design, precious stones, additional fees and store mark ups. In addition, once you decide to sell any jewelry you have in the future, you are going to lose the money on all these “extras” you paid at the time of purchase and get only a fraction of the spot price of gold. When in doubt how to choose gold, skip gold jewelry. 2. Choose gold bullion coins over numismatic coins. Again the value of numismatic coins and rare coins is derived from so many various components besides the actual value of gold like rarity, scarcity factors and demand. All these factors are extremely unpredictable and volatile and require advanced knowledge of numismatics. When looking at gold as investment you definitely want to avoid paying any extra fees and are ultimately going for the price as close to the spot price of gold as possible. 3. Choose gold bullion coins with low premium fees. When comparing standard 1 ounce gold bullion coins from various mints, compare their prices against the current spot price of gold. Coins that come with a lower price are almost always a better investment. Usually South African 22K Gold Krugerrands and Canadian 24K Gold Maple Leaves come with lower premiums compared to American Gold Eagles, though they contain identical gold content. <4. 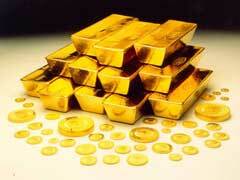 Choose gold bullion bars over bullion coins to maximize gold investment. Gold bullion bars always carry smaller premium and manufacturing costs allowing you to reduce investment expenses. However, larger bullion bars carry major forgery security risks and should only be purchased from respectable sources. 5. Buy exclusively from reputable gold bullion dealers to avoid wasting money on fake gold bullion coins or bars. With that said, a lot of novice gold investors fall prey to dishonest gold dealers who provide misleading information, overcharge for bullion products or even worse, sell fakes. All these situations could be avoided if you buy from well known sources. 6. Many experts when asked how to choose gold, answer to buy wholesale if you can afford it. Many online bullion dealers set a minimum purchase requirement to qualify for wholesale pricing. In the long run, it’s a great decision to buy wholesale. 7. If your friends or colleagues are trying to teach you how to choose gold, you can almost always ignore their advice. Most people are buying gold driven by emotions or by market’s ups or downs. Once you take your emotions out of the equation, you can think clearly and make your personal gold investment decision based on well researched criteria. 8. Some investors buy gold for survival purposes and for situations of catastrophic proportions like currency default, national emergencies or famine. When paper money becomes worthless, there’s only one standard that remains solid and it’s the gold. In this case, some gold analysts recommend you purchase gold coins of various smaller sizes like, for example, 1/10, ¼ or ½ of a troy ounce. Smaller gold coins are easier to carry compared to gold bullion bars, for example, and much easier to pay for everyday food and necessities. 9. Many novice investors wonder whether gold stocks are a sound gold investment. Gold stocks are a whole different “ball game” when it comes to gold investing. Gold stocks do not derive their value from the actual spot price of gold. On the contrary, prices for gold stocks depend on gold ore availability, financial performance of gold mining companies and many other factors that must be taken into account. Novice investors might not have the knowledge to analyze these highly specialized companies to assess whether to buy or not to buy their stocks. 10. Gold certificates might be your answer if you are just not sure how to choose gold. Gold certificates are basically paper gold or simply rights for owning a certain amount of gold. While some investors prefer this mechanism to avoid dealing with actual storage of physical gold bullion, others fear that paper gold is not worth the credit risks.